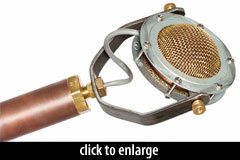 The Edwina is a large-diaphragm electret condenser with distinctive visual style. 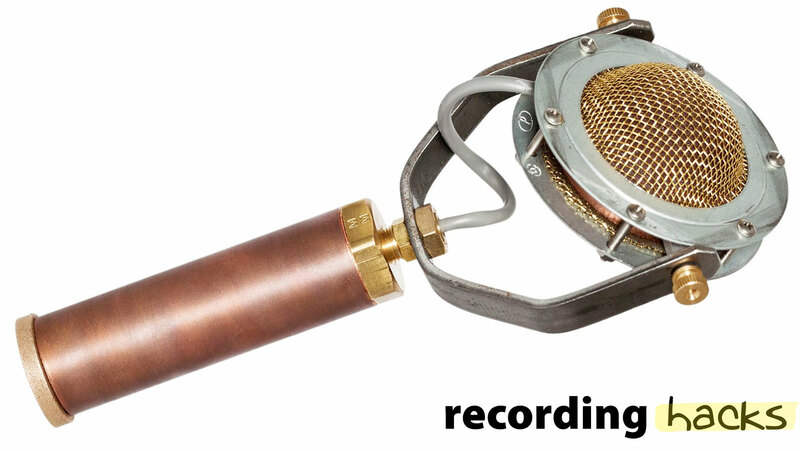 Like all Ear Trumpet Labs microphones, it is designed for both stage and studio use. The mic utilizes a transformerless FET circuit and Chinese-made TSB-2555 electret condenser capsule, yoke-mounted to facilitate positioning. The capsule can be swiveled to accommodate both side-address and end-address orientations. The impedance conversion circuit includes a bass rolloff to compensate for proximity effect. High frequency equalization is used to reduce sibilance. The frequency response plot shows a nominally flat response to 3kHz, rising to +5dB at 10kHz and fast roll off beyond 15kHz. I am a fan of these microphones. They sound different than any other mic in my collection, and I’m quite taken by their aesthetic. If you are after a plain-vanilla mic with a clear and open signature, the Edwina is not it. My brain tells me that it is too nuanced and tonally specific to be a does-it-all workhorse mic, but on the other hand, I have yet to find a source that it sounds bad on. Some things, like live drum overheads, may be a matter of taste, but all in all it makes a good vocal mic, tom mic, electric guitar mic, acoustic guitar mic and so on. Rather than calling it a workhorse mic, it’s more like the dark horse mic!